U.S. President says he may ask Russian counterpart to extradite 12 Russian intelligence officers accused of hacking DNC. 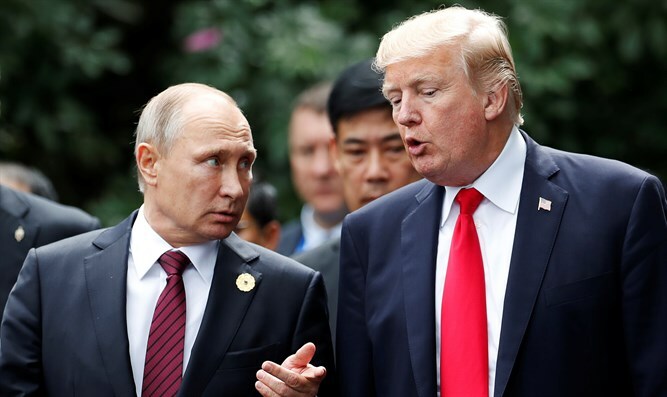 U.S. President Donald Trump told CBS News in an interview on Sunday he may ask Russian President Vladimir Putin during their summit on Monday to extradite 12 Russian intelligence officers accused of attempting to interfere with the 2016 presidential election. The interview with Trump aired two days after special counsel Robert Mueller indicted the 12 Russian intelligence officers in the 2016 hacking of the Democratic National Committee (DNC). "I hadn't thought of that. But I certainly, I'll be asking about it, but again, this was during the Obama administration. They were doing whatever it was during the Obama administration," he added. Trump added that his Republican Party had also been the target of Russian hacking efforts but had superior cyber security measures in place. "I think the DNC should be ashamed of themselves for allowing themselves to be hacked," he said. "They had bad defenses and they were able to be hacked. But I heard they were trying to hack the Republicans too. But -- and this may be wrong -- but they had much stronger defenses." The hacking of the DNC computers led to a leak of emails revealing that the Democratic National Committee favored Hillary Clinton over her rival Bernie Sanders in the party's 2016 nominating contest. The leak resulted in the resignation of Debbie Wasserman-Schultz as chair of the committee.